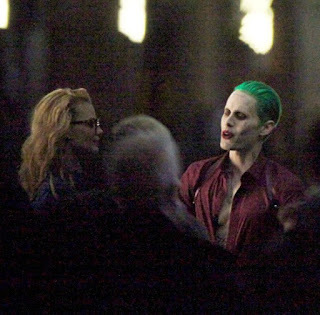 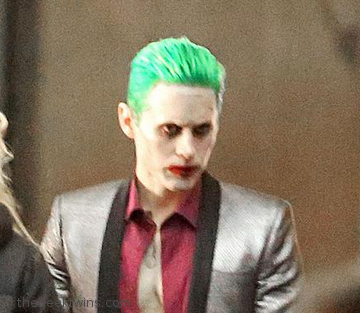 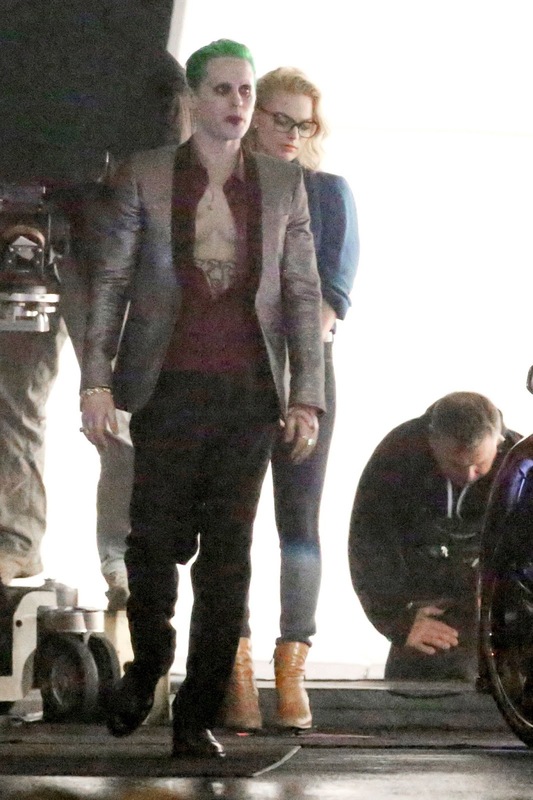 The Internet went crazy when the studio released the first official photo of Jared Leto as the Joker in Suicide Squad. 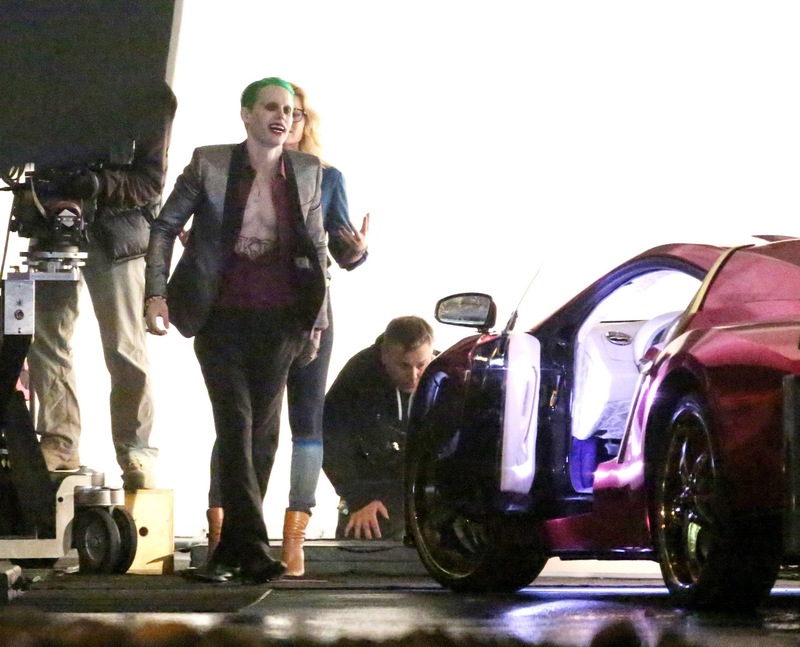 In the clips, the Joker exits what appears to be his purple Lamborghini and begins arguing with Harley in what IGN presumes is a flashback scene from when Harley was still Harleen Quinzel. 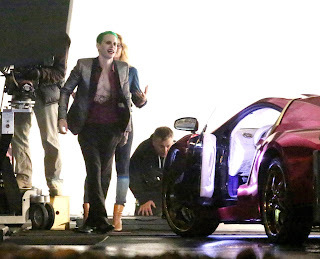 In one clip, a bystander comes up to intervene when Harley shoots him, but then the Joker steals her gun, knocks her out [with a vicious backhand - NM] and gets back in his car. 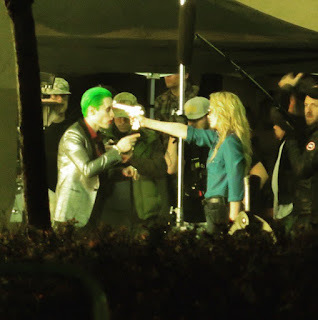 Leto's mannerisms are very Joker-ish in the clips, with lots of hand fluttering and head jerking. 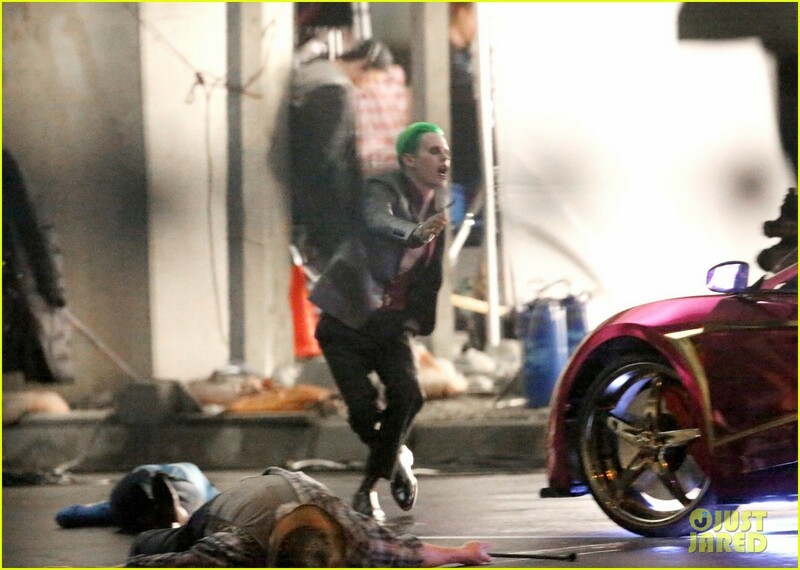 What do you think of this view of the Joker? 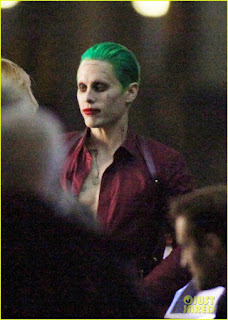 Hmm, I did not know they were making a new movie with The Joker. 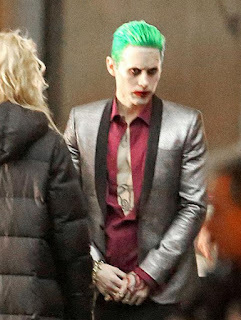 The dud seems nicely suited for the role, but I'd have to see the previews to know if he's any good at it. 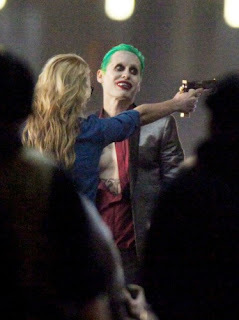 Or if the movie would be worth it. I think the neon green hair is a bit much but then I loved Heath Ledger's Joker after initially being skeptical, so who knows. 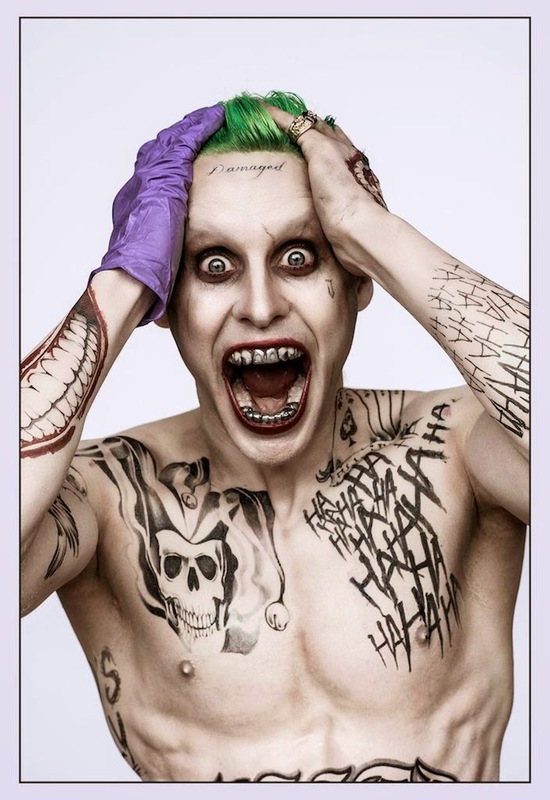 Seems he'd fit in with the Adam West version of Batman. He looks inspired by Frank Miller's version. i am keeping my mind open to this film until the trailer is released... fingers crossed.